Cancer! What a word. The sound of it alone shivers the soul. 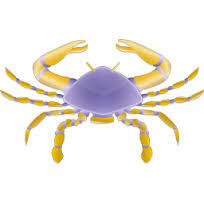 Although every major illness creates the same reaction, I am most familiar with cancer. I know its nightmare best. I am a medical sociologist who has lost two children to cancer: Valerie at 9 and Stacy at 37. I have endured the illnesses side by side with my children although I do not presume to have the education or the knowledge that a physician has. I do know, however, that whether it is a relative, a friend or an acquaintance, the person newly diagnosed often finds that the information about the causes, the treatment and the side effects appear labyrinthine. And because the illness is complex and because there are so many different types , I’m going to reduce the data a bit so that, hopefully, the most significant pieces stand out. Please take the following under advisement, think about it and then use it as you’d like. At the start, when seeing a board-certified oncologist and/or hematologist for the first time or the umpteenth time, the most important thing you can do is to bring along someone you trust to the appointment. In other words, you need a proxy: a husband or wife, a parent, some relative or close friend. The proxy role in the medical interaction, of course, is not new; most parents have been proxies for their sick children just as many adult children or spouses have acted as proxies for their infirm parents or mates. And so, after that medical appointment, bounce all that information you received back and forth between you and the proxy. Make sure you understand it, that you both heard the same thing. If you still don’t understand something—or anything—ask the oncologist and/or hematologist again. Take notes, then go online to a reputable site (I have offered, further down on this post, some websites to look at) if you have a computer; if you don’t, go to the library. Ask away until you know what he or she is talking about. Those of you who have been newly diagnosed with cancer may decide to think it through first before deciding which treatment is best. Take your time. Since we want all the medical information possible before making any decisions, I offer below, a condensed checklist from the 9th Annual Cancer Guide for the Newly Diagnosed*. The questions are fairly inclusive and they don’t have to be asked all at once. Some of them don’t even have to be asked. It’s your decision. You pick and choose. · What is the goal of the treatment? Is it curative? Will it extend life? Will it help with the symptoms of cancer? What are the chances that the treatment will work? How will doctors determine if a treatment is working? · If the treatment does not work, are there other options? · What are the potential risks and side effects of the treatment offered? How do side effects of this treatment compare with side effects of other treatments? · How will the treatment be given, how often and for how long? · Are there ways to prepare for treatment and decrease the chance of side effects? · Will daily activities be restricted in any way? Diet? Work? Exercise? Sexual activities? · Are there any clinical trials to consider? · How much will the treatment cost? Will it be covered by insurance? (some oral cancer medications are not covered by insurance although the government is trying to correct that). · After treatment, what are the chances of being cured, in remission or relieved of symptoms? Each of the above questions should be weighed carefully: the positives, the negatives and the risks versus the benefits. Many emotions come with a cancer diagnosis. Cancer requires not only an oncologist/hematologist who is medically well-qualified but requires, as well, someone who will listen and respond to your concerns, both physical and emotional (please see my post from 5/02/2016, Grand Rounds: The Parent’s Side). Do not be shy or reluctant to make your needs clear. Be good to yourself. Since cancer survivors are growing in large numbers, treating yourself with thoughtfulness and diligence are as important as treating the cancer itself. *CURE Magazine in Association with the American Cancer Society: 9th Annual Cancer Guide Newly Diagnosed. 2016. p. 39.